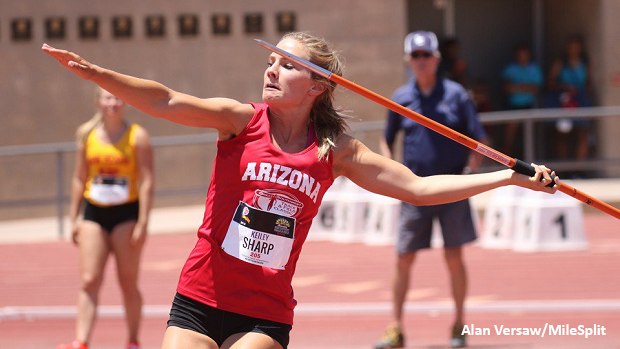 Last year was the first year Arizona regularly held javelin competitions as AIA sanctioned events and among the hundreds of athletes who threw Javelin, Keiley Sharp picked it up as a natural Champion. "I had no idea Javelin was a thing prior to last season," said Sharp who had only done high jump before last year. Last March, she made her debuted in the Javelin at the Husky Invite in Scottsdale where she threw 103-7 to win the Girls Javelin competition. "It took me about 2 weeks to get the hang of it and I was very frustrated and almost stopped throwing it so I could focus on jumping, but instead, I had an urge to keep practicing and start looking up YouTube tutorials on how to throw. 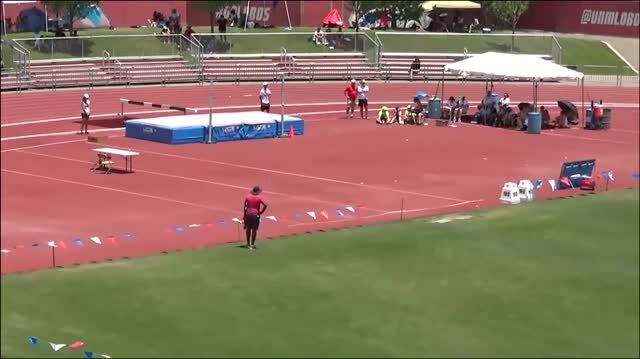 Her commitment and tenacity paid off and over the course of the season, she improved by almost 50-feet. In May, she secured her first State Title in the D1 Girls Javelin contest and later that month ventured to Albuquerque, NM for the Great Southwest Classic where she threw a lifetime best of 150-8.25 to win the Girl's Javelin and the set first Javelin State Record for Arizona Girls. However, the past year hasn't been all rainbows and butterflies for Sharp. In December, she underwent shoulder surgery and has been steadily recovering through the winter. According Sharp's Javelin coach Ben Franz, "(Keiley Sharp's) recovery is going well. We're taking it day to day and keeping her safe to ensure that she has the opportunity to compete at a higher level." Sharp will likely open her season with a focus on high jump performance before picking up the javelin again. In the meantime, will we see other challengers add depth to the Javelin this season?